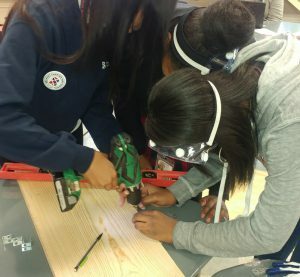 The ninth graders of Belmont Charter High School recently completed a week of Career Expeditions, which provide students the opportunity for experiential learning through hands-on projects. 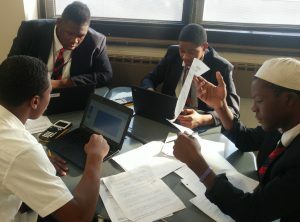 This unique program prepares scholars for the varied pathways they may pursue following graduation and offers a variety of subjects to explore. Another group spent the week learning about entrepreneurship and the perks and challenges of running a business. These students visited Reading Terminal Market and met with small business owners to discuss the logistics of managing a retail space every day. 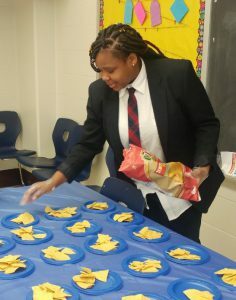 After several days of developing budgets, purchasing supplies and creating a menu, the group operated a pop-up taco shop, where they sold lunch and snacks to teachers and fellow students. Planning and building was the name of the game for yet another set of scholars who toured an architectural firm. This group spent the remainder of their week drafting designs, purchasing supplies and eventually building their own functional bookcases. It will be a few more months before another round of Career Expeditions, but the ninth graders of BCHS are already looking forward to their next experiential learning adventure.